Schuyler Colfax Francis Preston Blair, Jr. 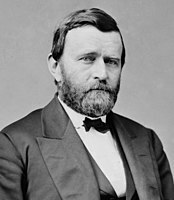 In the 1868 United States presidential election, California narrowly voted for the Republican nominee, Union general Ulysses S. Grant, over the Democratic nominee, DNC chair Horatio Seymour. 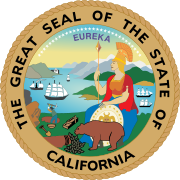 ^ "1868 Presidential General Election Results - California". Dave Leip's U.S. Election Atlas. Retrieved 2008-08-25.